I entered Princeton University as a National Merit Scholar and graduated in 2018 with the Pyne Prize, the highest general distinction that Princeton confers on its students. Today, I am a graduate student at the University pursuing a Master in Public Affairs. The son of a public school teacher, I've had a lifelong love of teaching. I started tutoring my peers in middle school. In the years since, my tutees have included Princeton students who went on to ace their economics exams, high school students who raised their scores on the SAT and ACT, and my own little brother who needed to learn his multiplication tables. Now I want to tutor you. I scored in the 99th percentile on the SAT and ACT Math sections and a perfect 5 on the AP Calculus Exam. I can teach students the math concepts on the SAT and ACT, a strategy for effective use of the graphing calculator, and a method for finding the right answer on tricky problems — even ones you've forgotten how to solve. I scored in the 99th percentile on the ACT Science section and the top 10 in my state at the U.S. Chemistry Olympiad. I earned perfect 5's in AP Chemistry and Biology. I can teach students the science of the ACT, the format of the exam, and a strategy for beating this section's notorious time constraints. I scored a perfect 36 on the ACT English section, more than once, and in the the 99th percentile on the SAT Verbal section. 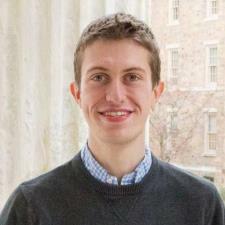 I am a writer and editor for Princeton University's student newspaper. I can teach students the rules of grammar that appear on the SAT and ACT, the format of these sections, and the strategies for picking the right answer in Reading tests when you're stuck between two. High school is a stressful time. Don't let anxiety about the SAT or ACT be an obstacle in your success. If you or your child wants to succeed on these exams, consider learning from me — Princeton's top student of 2018 and an experienced tutor. Contact me and set up a lesson. I took a session on SAT writing and grammar. I found Newby to be very knowledgeable and an excellent tutor. Thanks Newby for accommodating me on a Sunday and during your busy schedules.